We have finally started preparing for TEDxHimi 2017. The first TEDxHimi 2017 meeting was held at Himi Kinema on Saturday, July 9th. There were 11 participants – 7 members from last year’s event as well as 4 newcomers. To our surprise, 2 people from Kyoto and 1 person from Nara participated in this meeting via video chat. With members in multiple locations, this meeting was a lively one. 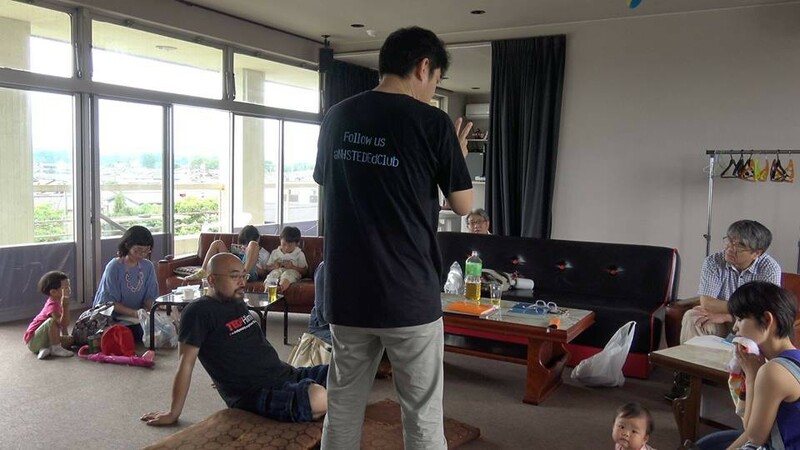 The founder Kawamukai recently came back from the TED Summit. The meeting started with Kawamukai’s greeting. He explained the concept of TED for the new members and then each person introduced themselves. Then, participants reflected upon the 2016 event and discussed the upcoming schedule. There are many issues which need to be addressed in order to improve this event. We can solve these problems by visualizing a solution. Moreover, it was discussed that we emphasize the local charm of the city at next year’s event, mainly through its local cuisine. We will not only serve local food, but also share with the audience the local stories behind them. We brainstormed a few options. At the moment, we are still deciding on a new venue for TEDxHimi 2017. Using this hall will allow us to start planning the next event for 2018. What kind of valuable ideas will be born? Half a year is left until the next TEDxHimi event! Continue to watch this blog for status updates!